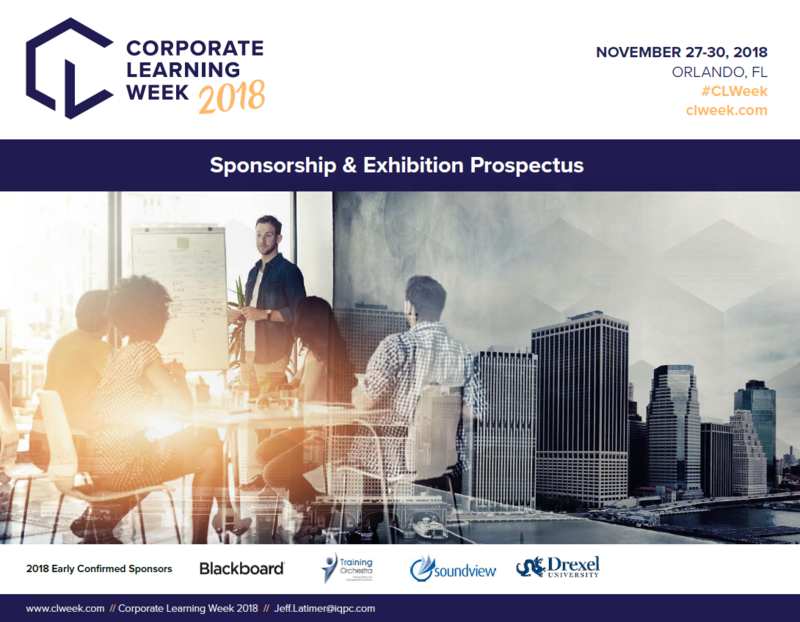 Corporate Learning Week is where L&D leaders come together year after year to benchmark, share best practices and uncover the latest technologies for driving talent development excellence and is designed to give you nonstop networking with 350 attendees from Fortune 500, Global 2000 and leading training organizations. Your CLW Team is Here to Help! All Sponsorship packages are customized to fit your current business needs. Contact us to start building a custom sponsorship package which can include: workshops, round table discussions, receptions, and more.